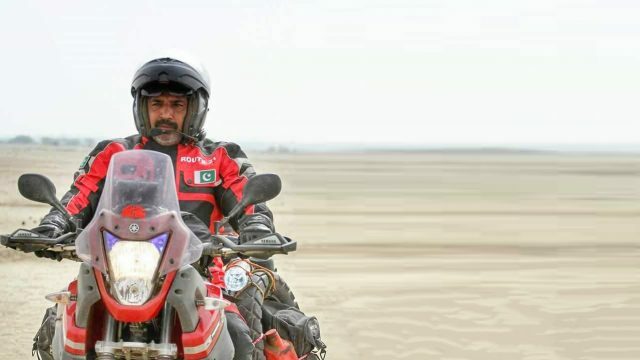 This time, PakWheels.com brings an exclusive interview of M. Iqbal Ghangla, who shares his experiences and love for travelling through bikes and capture the beauty of Pakistan. PW: Tell us about yourself. 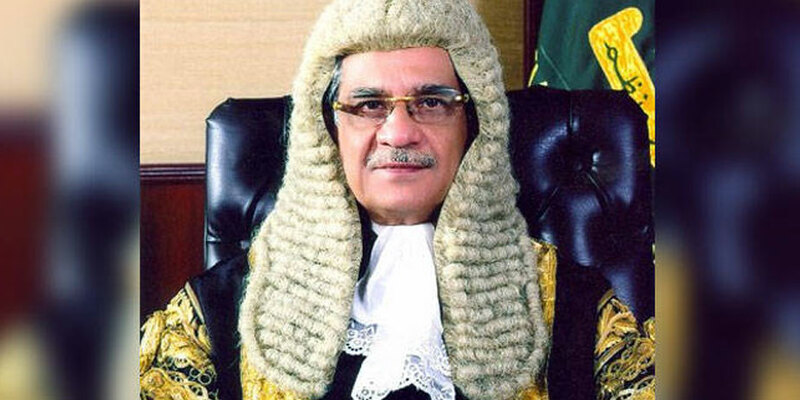 IG: I am from Multan, but most of my life was spent in Saudi Arabia, from where I came back to Pakistan in 1990. PW: When did you realize your passion for bikes? IG: I always had a passion for riding bicycles and bikes, and in 1991, I went on my first bicycle tour. It was a 12 ft. long bicycle, that I had customized by combining parts of four bicycles into one. On that tour, I travelled to the different cities of Pakistan, and I wanted to give out the message of peace to the whole world. During that tour, I also went to Islamabad to get NOC, to go on a world tour on the same bicycle, but unfortunately, I couldn’t get it. PW: When did you start riding bikes? IG: After my bicycle got burnt in an accident, I completely shifted my interest towards bikes, and since 2007, I am travelling on bikes. Till date, I have covered more than 300,000 KM on bikes. PW: Tell us about your first official bike tour. IG: Out of many tours, there were two that were huge. The first tour, ‘Welcome to Pakistan’ was under the sponsorship of Pakistan Tourism Development Corporation and it happened in 2012. In that tour, I covered the distance of 12,000 KM within 30 days. Then my second biggest tour was ‘Peaceful Pakistan’ that happened in 2014. It was about 20,000 KM tour, which I completed in 55 days. This tour was sponsored by Red Bull, PTDC and PakWheels, with an aim to promote tourism and showcase that if a man can travel all alone through different cities of Pakistan, then it’s safe. PW: What are your other interests? IG: Other than tours, I have also done off-roading, and I used to be a photographer for jeep rallies. I love travelling, and I believe that travelling is incomplete without photography. I invested in a good camera, and I used to take pictures of roads, buses, and nature. I used to upload pictures in their raw form, without doing any photoshop, because I wanted to show the beauty of Pakistan in its purest form so that those who will travel through the same city will witness the things I have captured. In 2007, I went to attend the Cholistan Rally for the first time on my bicycle. There I realized that rallies like these need proper photography and that aggravated my passion for sports photography. Then in 2008, I had an MP4 View camera, with which I covered the Cholistan Rally. And as the years passed, I upgraded my camera to DSLR 7D that I used especially for sports photography. PW: What about your bike collection? IG: I have 20 classic bikes, out of which 15 are Vespa(s). It has only been two years that I have started collecting bikes. I like to ride small bikes, and not the big ones. PW: Tell us about your travelling bike. IG: As I have mentioned above that how much I love travelling through the bikes, so I always wanted a nice bike. When I was looking for an adventure bike, one of my friends suggested me a showroom, where there was a Yamaha Ténéré on display. I already knew about this bike through my foreigner friends, but I didn’t know its complete name until I bought it. When I first saw the bike, I just loved it. I spoke to the owner, Mr. Hafeez, who is also a senior biker, and we made a deal then, and he sold me the bike after giving a discount of 1.5 lacs. PW: What difficulties have you faced in maintaining this bike? IG: Since there were only two bikes that came in Pakistan, so availability of parts was a hurdle. The main things of concern are the clutch wire, brakes and oil filter. So, when I had to change the oil filter, I couldn’t find it. I had to ask from Lahore Filter House to replicate it and then I used to get from them. PW: Share your thoughts about the adventure biking. 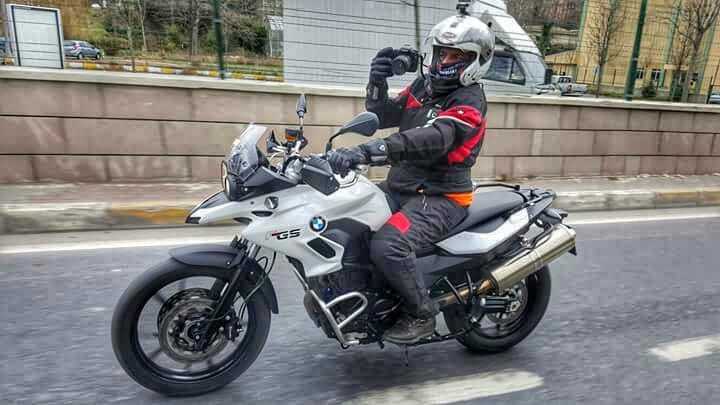 IG: As far as the adventure biking is concerned, going on a shorter trip like from Lahore or Islamabad to Gwadar, then keeping a 1200cc bike is not an issue, but when you do off-roading, a heavy bike can be troublesome. It’s difficult to carry a big bike on such routes, where balancing is the main problem. If you want to enjoy off-roading, then you should keep a 250-450cc bike. That’s easier to handle. PW: How did you get to know about PakWheels? IG: In 2011, I met Hanif Bhatti – the founder of PakWheels, and since then, it’s a very close bond. In 2012, the company made me the Brand Ambassador. PakWheels has introduced me to the world, and due to this, I have made many friends from the industry. After attending the great auto shows by PakWheels, I requested them to host an auto show in Multan and its been four years now that all the auto enthusiasts from Multan gather for the amazing auto show.